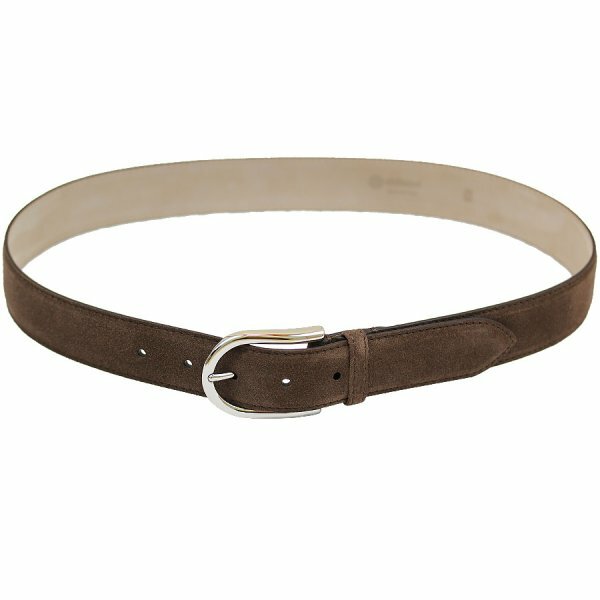 Product information "Suede Leather Belt - Dark Brown"
Dark brown suede belt with silver buckle. Wonderfully soft calf leather, an elegant and carefully crafted buckle: a real favorite piece. Works of course with dark suede shoes, but we like it with other shoes as well, as long as the contrast is strong enough. Related links to "Suede Leather Belt - Dark Brown"